Major update: Colocation Manager v6! 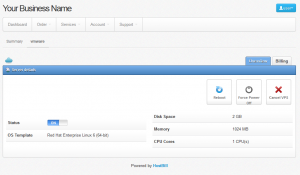 One of the most powerful HostBill modules: Colocation Manager, has just received a major update! Check out the long list of new features introduced to Colocation Manager v6! We’re happy to present new HostBill 2019 licenses! Check out new pricing plans and integration list included in each edition! We’re happy to announce that HostBill now supports PHP 7.1 and 7.2. With the new release we’re also launching new Plesk DNS Helper and PowerDNS slave modules. A Web-Hosters community powered fraud protection module. Next to standard HostBill fraud prevention you will also gain access to HostBill’s webhosting fraudsters IP database – to lower risk of fraud and chargebacks. Verify your client’s identity and phone numbers with this simple, yet powerful plugin – use built-in sms notification plugins (or easily build your own) to send clientarea PIN protection code after signup.